U.S. Olympian Helena Scutt encourages young women to pursue their dreams! While women like Helena Scutt are making inroads in the science, technology, engineering, and mathematics careers (STEM), they still have a long way to go to share equal representation with their male counterparts in these industries. U.S. Olympian and Athlete Career and Education (ACE) Program participant Helena Scutt believes women and girls should never give up on their dreams. This is something she learned from her father, and it has given her the confidence to combat stereotypes. Stereotypes can deter women from pursuing engineering, her chosen field of study, and sailing, a traditionally male- dominated sport. 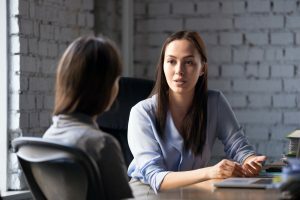 Helena felt that being “blonde, female, and an athlete” all worked against her in the male-dominated field of engineering. But despite these obstacles, she graduated from Stanford University in the top 15% of her class with a Bachelor of Science in Biomechanical Engineering. She is currently working on her Master’s in Mechanical Engineering. During her time at Stanford, Helena was the Captain of the Varsity Sailing Team for two years. Additionally, she co-authored a research study on practices for inclusive STEM classrooms, which provided strategies for educators to help close the gender gap. Defying stereotypes has been an important element in both her sport and her profession and she continues to inspire other girls and young women to do the same. Now a member of the U.S. 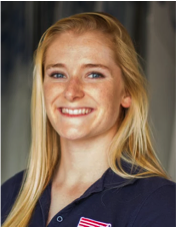 Sailing Team Sperry, Helena leverages the ACE Program to explore future career options, plus work a flexible schedule while juggling the demand of her training. Helena also knows a little something about hard work and the power of persistence. In 2013, while racing at the 49erFX Worlds, she was struck by a boat that resulted in a broken spine, two cracked ribs and a lacerated kidney. Helena worked hard to recover and went on to qualify to compete for Team USA at the Rio 2016 Summer Olympic Games. No doubt Helena will be a leader and role model to women on the water and in the workplace! 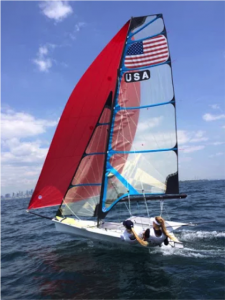 Learn more about Helena’s pursuit of academic and athletic success and breaking societal stereotypes in Uncharted Waters, a video series featuring the sailing athletes of Team USA! Olympic sailing gets underway August 8th! Interested in adding an elite athlete like Helena to your team? Click here to learn more about Adecco’s involvement in the USOC Athlete Career and Education Program.